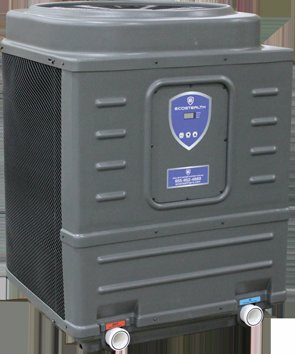 The ECO1500 heat pump is our premium, AHRI certified pool heating pump. If you are concerned about having a noisy machine disturbing your pool or spa’s ambiance, have no fear. The ECO1500 boasts an advanced aerodynamic fan blade with a low rpm motor, giving you the peace and quiet you deserve, while keeping your pool at the desired temperature for maximum relaxation. If you are interested in adding this option to your pool or spa, or you would like more information, please do not hesitate to contact Fantasy Pools of Florida!